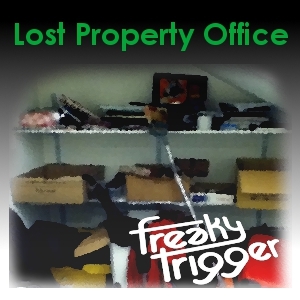 Welcome to week two of the new FreakyTrigger podcast (in association with SOAS Radio), the Lost Property Office. This week my guest is Sarah Clarke who did not get her hands too dirty in her rummage through the office, alighting on three items and a CD which belied its origin considerably. In this weeks show we talk about missing monkey T-Shirts (more people lose clothes than I would imagine), young persons phones, pencils, the difference between Central and East Asia, the word “Flip” gets said A LOT (but its not rude so that’s OK) and the state of world records in 1980 whilst Norris McWhirter (but not Ross) was still compiling the Guinness Book Of Records. b) Comparing the Guinness Book Of Records, no matter how obliquely, to Mein Kampf. As ever if you recognise any of the music, or own any of the items in this weeks Lost Property office and want to be reunited, feel free to drop us a line in the comments (click more for the comments).